LG has announced yet another smartphone which will please various CDMA subscribers. The smartphone sports a slider qwerty keyboard, which will be a welcome features for many who find it difficult to type on the touch keyboard. 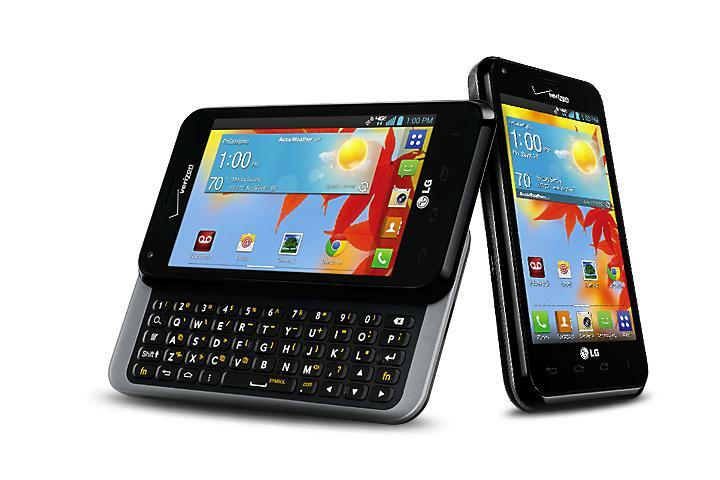 LG Enact VS890 is a 4G smartphone which sports a 4 Inch TFT Capacitive touch screen with multi touch. The display of this smartphone is packed with a WVGA resolution of 480 x 800 Pixels, ~233 ppi pixels density, 16 M Colours. Dimensionally LG Enact measures 111 x 52.3 x 15.8 mm (4.37 x 2.06 x 0.62 in), which is reasonably slim keeping in mind the slider qwerty keypad. The smartphone is bulky as it weighs 169.8 gms (5.96 oz), now that is heavy for a 4 Inch smartphone & there is only one flavour to select viz; Black. The front panel boasts of Corning Gorilla Glass protection, so now you can handle without care (kidding), while its multimedia aspect features Dolby Mobile sound enhancement. Technically LG Enact VS890 holds under the hood a Dual Core 1.2 GHz Krait Processor, Qualcomm MSM8930 Snapdragon 400 Chipset, Adreno 305 GPU, 1 GB RAM. LG has packed in enough power to make this smartphone efficient for multi tasking and gaming. When unboxed LG Enact VS890 comes with Android OS v4.1.2 (Jelly Bean) pre installed on it. The internal memory of 8 GB is stacked in this smartphone with a slot for microSD card that supports upto 64 GB card. On the data connectivity front LG Enact VS890 packs in a WiFi, WiFi Direct, WiFi HotSpot, DLNA, Bluetooth v4.0 A2DP, microUSB v2.0. The positioning aspect features GPS with support for A GPS (Assisted GPS) & S GPS (Simultaneous GPS). The Primary camera of LG Enact VS890 is of 5 MP with LED flash light, auto focus, geo tagging, face and smile detection, Panorama, HDR. The Primary camera can click images of 2592 x 1944 Pixels resolution and record HD videos of 1080 P @ 30 fps. There is a VGA secondary camera on the front panel for video chatting. The Li-ion battery in LG Enact VS890 stores a juice of 2460 mAh, now that is gigantic power bank. Overall looking at the specifications LG Enact VS890 will be a real hit among the CDMA users.